Ireland - International Lithium Corp. The Avalonia Project consists of spodumene bearing lithium pegmatites located in southeastern Ireland. 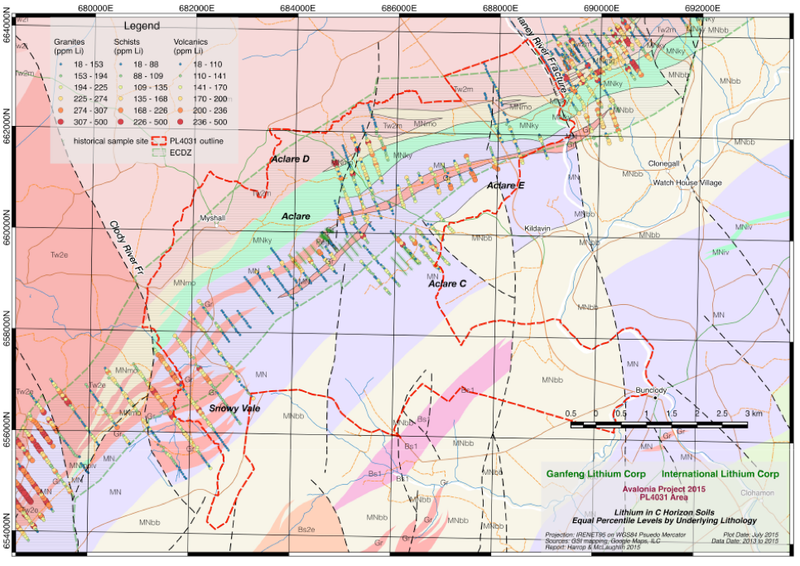 The region is host to several lithium pegmatite occurrences, with approximately 19 significant lithium pegmatite occurrences discovered within the Property to date, primarily as boulder trains since the area has little to no outcrop. The area exhibits excellent infrastructure. Topographically, it is a mixture of lowland and gently undulating upland areas with the land use predominantly taken up by agriculture (pasture and grazing of livestock) and forestry. Several of the forested areas throughout the block, for example at Moylisha, are commercial plantations operated by the Irish state forestry company, Coillte. Access throughout these forests is however good, with extensive well maintained tracks and fire breaks. 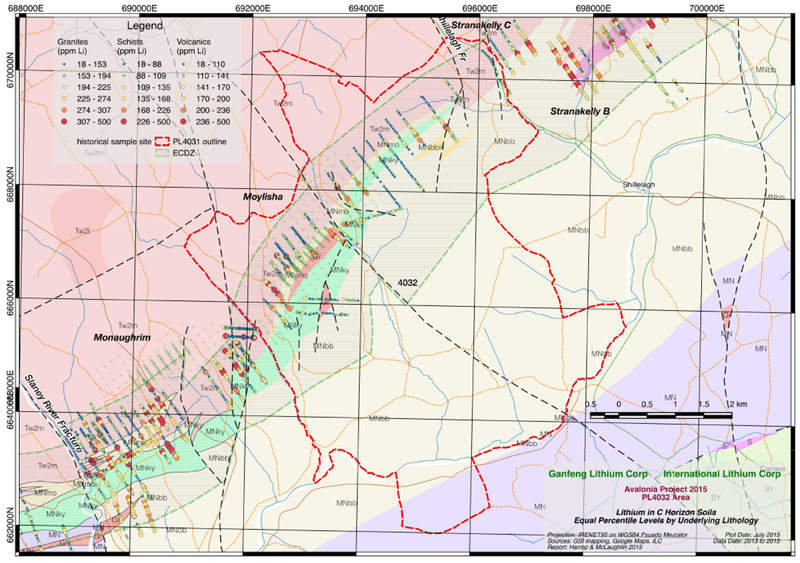 Current ownership of the Avalonia Project is through a joint venture company, owned 55% by Ganfeng Lithium and 45% by ILC. 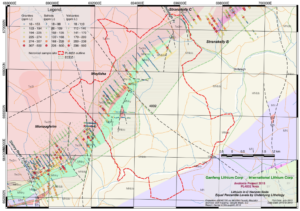 In addition, Ganfeng Lithium has an option to acquire another 24% by either incurring CAD $10 million expenditures on exploration activities or delivering a positive feasibility study on the project, at which time the ownership will be 79% Ganfeng Lithum and 21% ILC. The Company’s joint venture partner GFL International Co. Ltd., a subsidiary of Jiangxi Ganfeng Lithium Co. Ltd. (“Ganfeng Lithium” or “GFL”). GFL is the Operator of the project and continues to conduct small scale exploration programs on the property. The license’s lie within southeast County Carlow and southwest County Wicklow covering a total area of 297.16 km2. The project area is located 80km south of Dublin and straddles the border of counties Carlow, and Wicklow in SE Leinster. 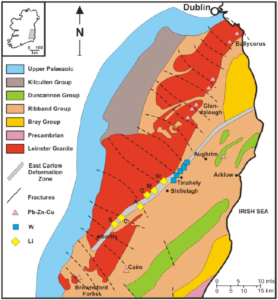 The property encompasses an extensive NE-SW orientated pegmatite that is 50km long and situated within what is termed the East Carlow Deformation Zone (ECDZ). 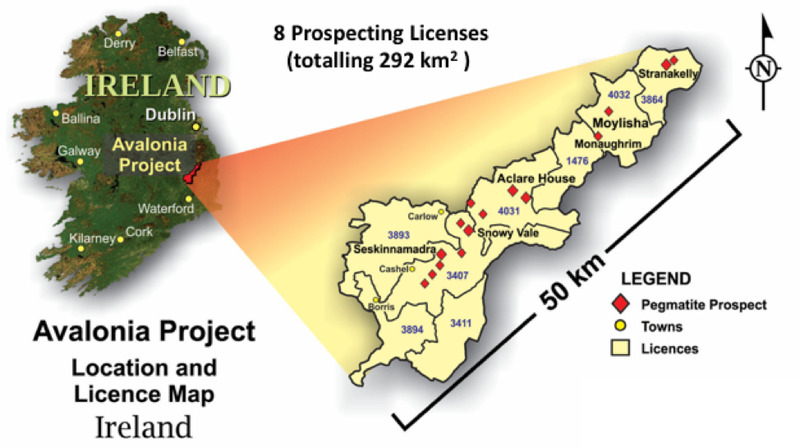 The eight Avalonia prospecting licenses superimposed on a geological map of the Leinster Block. 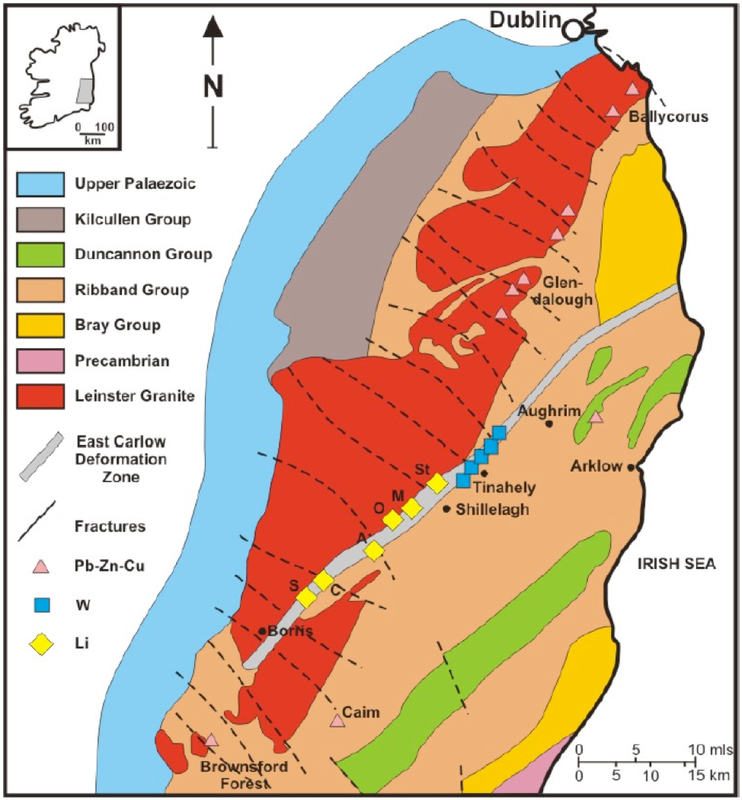 Geological map of SE Ireland showing main lithological units and three main types of mineralization which occur in the Leinster Area (after Kennan et al. 1986). Main lithium pegmatite bodies on the eastern side of the Tullow Lowlands Pluton (after Whitworth, 1992). 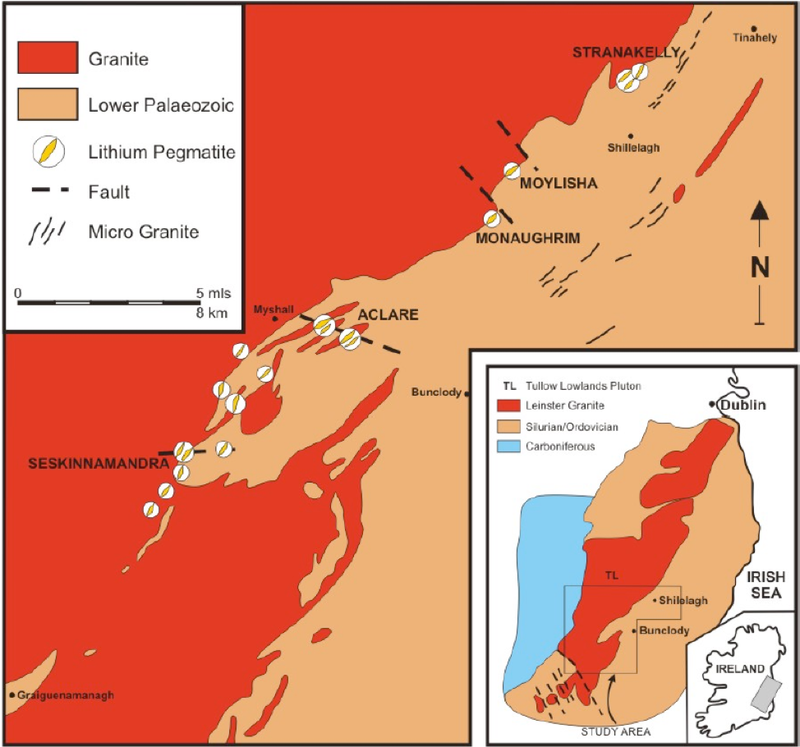 Approximately nineteen lithium pegmatite occurrences have been discovered in the Leinster area to date, but only six of them are known from outcrops or subcrops (from north to south): Stranakelly, Moylisha, Monaughrim, Aclare, Snowy Vale and Seskinnamadra (Whitworth 1992). The extensive uncomplicated Quaternary cover, which consists of varying thicknesses of glacial sediment and peat, limits pegmatite outcrops. 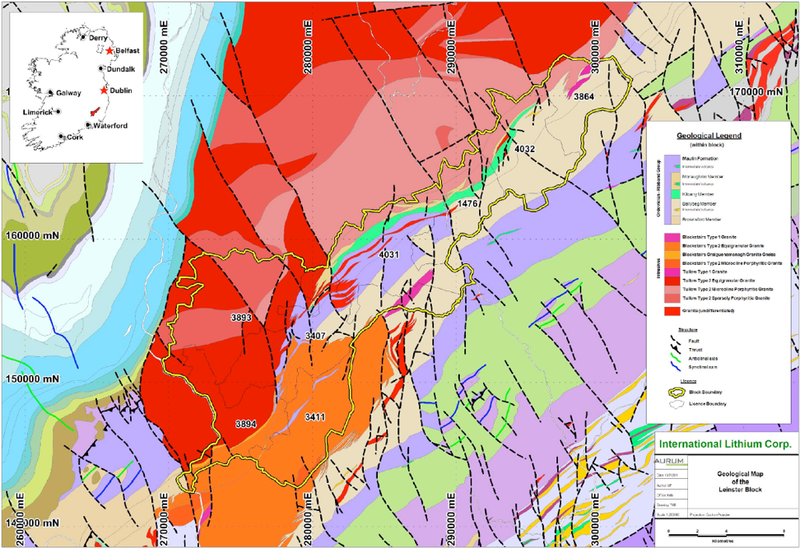 Pegmatite bodies are up to 20 metres thick at Aclare where multiple anastomosing and possibly en echelon veins can be traced along a common NESW strike for up to 400 metres and projected significantly further based on historical deep overburden sampling. The veins are internally zoned but are probably not cut by faults as much as previously described. They are preferentially hosted in the granite sheet parallel to the southeast contact or at the contact but rarely extending into the schist for any distance. The pegmatites may be multiphase in addition to zoned since the variation in composition and texture may not all have taken place in situ, but with successive injections of increasingly evolved pegmatite. Pegmatite zonation depends on many factors (mainly rate of nucleation of crystals, fluids pressure, concentration of fluxing elements and thermal gradient). The most developed pegmatite bodies in the area have several forms or zones. 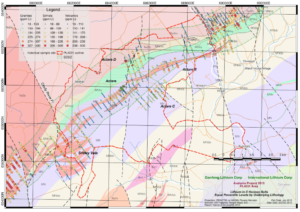 Regional soil geochemical surveys in and around the Aclare target area. 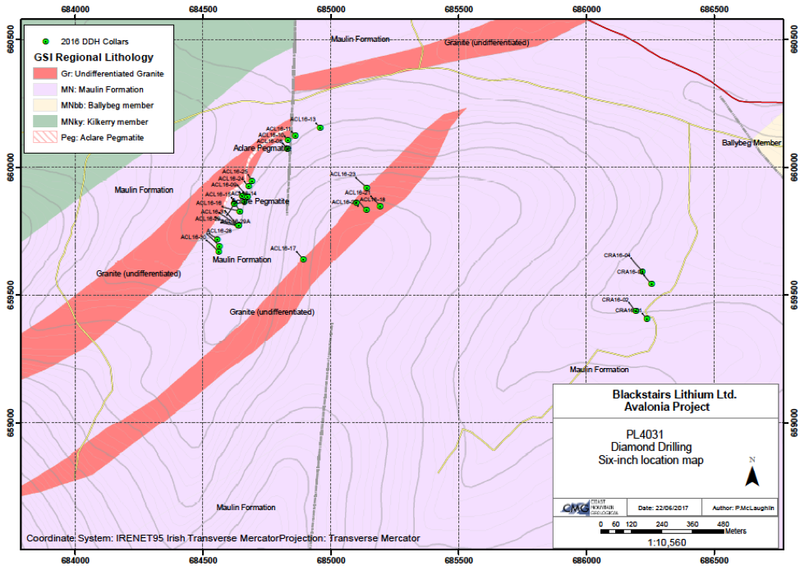 Drill hole location map in the Aclare target area. 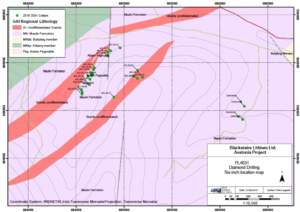 Significant drill results from the Aclare target area. Regional soil geochemical surveys in and around the Moylisha target area. 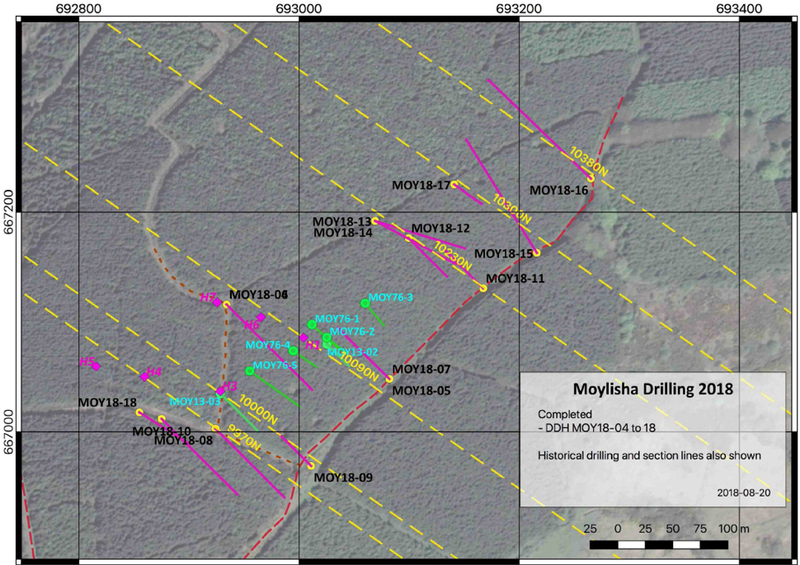 Drill hole location map in the Moylisha target area**. 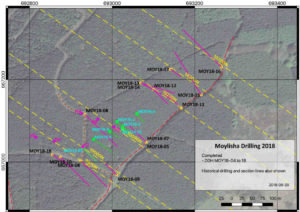 **Drill results for the Moylisha target area are still pending.